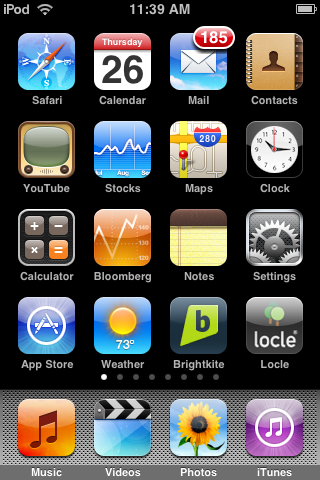 It took months and Apple rejected it no less than 4 times (“we don’t like the shape of your buttons”! 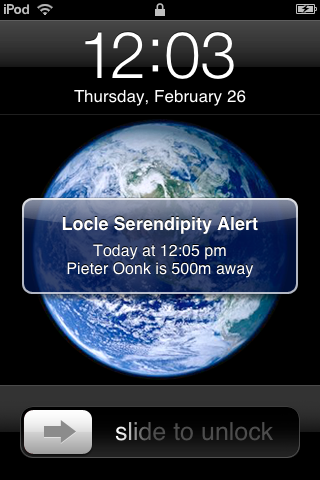 ), but Locle for iPhone and iPod Touch is now available. Please take the time to give us a 5-star rating and write a positive review. These things make a difference. But we’re giving away unlimited “share” licenses to iPhone users, so they can invite all their friends who don’t have iPhones to join with them in Locle. What a deal! So, go on… download it now. 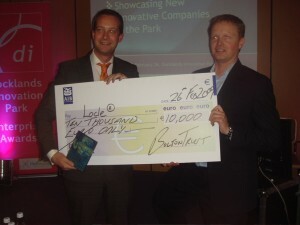 Locle won the Docklands Innovation Park Enterprise Award 2009. The award includes a neato cash prize of €10k sponsored by the Bolton Trust and Dublin Institute of Technology Hothouse Venture Programme. Previous Enterprise Award winners of include: Breakout Gaming Concepts (2008); Openplain (2007); Ripple Software Ltd (2006); Glantreo Ltd (2005); Sigmoid Technologies Ltd (2004) and Allergy Standards Ltd (2003). John Kennedy from Silicon Republic / Irish Independent says Locle “has winning investment proposal”. Locle will be presenting at Le Mobile 2.0 conference in Paris on Wednesday, March 11 as part of the Selection Zapping. Locle met up with founders of companies similar to Locle at the GSMA Mobile World Congress 2009 in Barcelona last week. The 13 companies agreed to form an alliance to enable our users to share their location with friends on different networks. The alliance is named OSLO (Open Sharing of Location Objects) and attempts to create a standard for location-based social software to share user location information securely and with privacy. Locle pushed to create this alliance to avoid a situation emerging similar to the Instant Messaging world, where users on different networks (MSN, Yahoo! Messenger, AOL IM, Gtalk) cannot chat to each other. Our hope is that OSLO will enable location-based social software companies to expand the overall market for location services and create a level playing-field as the 800 pound gorillas of the Internet enter the space. Google Latitude, Yahoo! FireEagle and Vodafone are already looking at entering the OSLO Alliance. 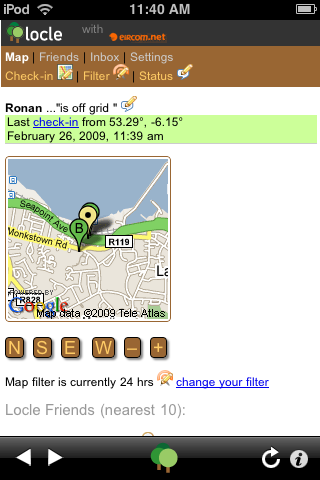 John Kennedy of Silicon Reporter and Irish Independent interviews Pieter about Google Latitude, the new “friend finder” add-on to Google Maps for Mobile.